Skyword provides marketing professionals with content marketing solutions that enable them to manage their marketing strategies and produce engaging content at any scale. It also provides users access to a community of expert freelance writers and content contributors who can help drive marketing activities across channels. In this article, we cover user reviews. Ready to try Skyword? Request for a demo. Users who left a positive review commended the Skyword team for their excellent service, strong partnership with clients, responsiveness, and professionalism. One user who gave a positive review on G2 Crowd said that the Skyword team has been incredibly responsive to his and his company’s needs. He added that they are very knowledgeable and handle customer concerns with professionalism. As of the date this article was written (10/23/18), there are not a lot of negative Skyword user reviews online. However, some users mentioned that they sometimes experience system outages and slow load times, which affect their project submission timelines. One user who left Skyword a negative review on G2 Crowd shared her frustrations over instances when the platform was unavailable due to a system outage. She explained that unexpected system glitches sometimes prevent her from meeting tight project deadlines. Skyword does not publish its pricing on its website, but other paid software similar to it ranges from $20 to $500/month, depending on the features included. Interested users may request for pricing information by contacting Skyword’s sales team. 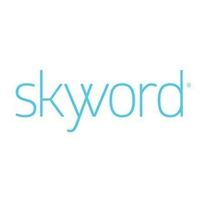 Ready to try out Skyword? Request for a demo. How diverse is Skyword’s global pool of content contributors? Skyword’s global pool of content contributors is very diverse. Their talents include writers, videographers, photographers, and designers with expertise in a wide range of subjects, languages, and markets. Can users publish their Skyword content directly to their websites and social media channels? Yes. Skyword has a one-button-click functionality that enables users to publish their content directly to their website, Facebook page, YouTube channel, and email marketing platform. Not sure if Skyword is the right fit for you? Read our reviews of all top content marketing software providers or check out one of these three Skyword competitors. Skyword is the perfect software for us to utilize when working with companies in creating content, both articles and photos. It has really streamlined the process most importantly for the companies we are writing for. Outages are difficult at times. Skyword clearly communicates in a timely manner when outages are scheduled. 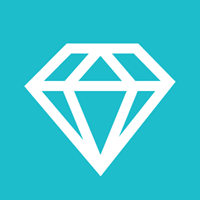 Skyword is a great tool for freelance writers/content creators to utilize to streamline work processes. The learning curve is a bit much as a first time user though. Timely feedback. Very flexible and highly professional. I’m particularly impressed with the editorial teams. Always upbeat, responsive, and friendly. The platform is great but needs some minor improvements. Can include minor bugs and sometimes, not easy to navigate. However, the company often releases updates to improve platform stability and functionality. Would like to see due dates expressed as a date and time. Currently, the platform shows the number of days. Nothing! I enjoy working for Skyword and appreciate their willingness to send me work! Great and responsive communication between the project managers, editors and writers. Whenever an assignment needed clarification, or if I had any questions about payment, due dates, etc., the Skyword people were always prompt to answer—and friendly too. The system worked fairly smoothly for me, though the interface could be unresponsive at times. That did improve in the 1year+ I wrote for them. When I last did contract writing there, I had a little trouble finding info on all of my assignments over time, but possibly that was my negligence. This is speculation, but I worry that because I stopped writing for one program (various factors there, none Skyword’s fault) that I might have been blackballed from new assignments. It’s been a while. Another program I worked for there phased out writers that didn’t have their expertise in their new focus, so that was fine.